wee Devil is an original design by Mark Freeland with styling hints taken from J Allen's 'Little Deer' (published in Feb 1971 Aeromodeller). The wee Devil kit was designed for easy assembly without the need for full size plans, building jig or other special fixtures. This is not a short kit, everything you would expect in an R/C kit is included. There are 140 precision laser cut parts on 16 sheets, all necessary hardware is supplied including screws to mount the motor and fishing line for hooking up the pull-pull control lines. Covering material is not included: we recommend Litespan, Fibafilm or So-Lite. The model makes an excellent introduction to 3 channel R/C flying for the novice. When set up for 'park flying', it is a slow and stable flyer. Wing Area: 121 sq in. A number of options for Retro RC wee Devil RC may be purchased at discounted prices. Selecting an option will add its price to the total for the kit. A battery connector suitable for the selected LiPo will be included for you to fit: red JST or JST-PH 3 pin socket. 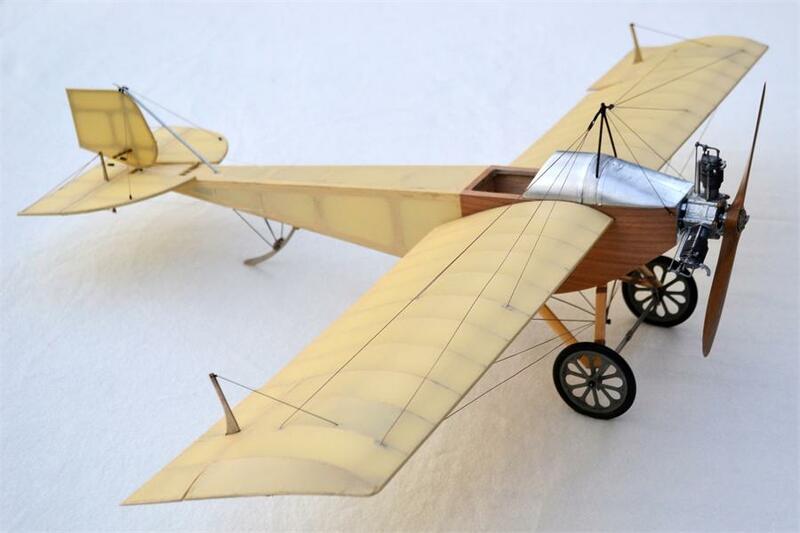 A fun RC model based on Bert Striegler's Ebenezer FF concept - a quick to build all sheet small model. A lively performer when powered by a Park 250 or or similar size outrunner, it will do loops and other stunts when flown outdoors, but can be tamed and flown relatively slowly indoors. All sheet construction makes for a fast build. The kit comes with a full hardware pack, it even has the pilot with scarf and paper decals. Wing Area: 112 sq in. A number of options for Retro RC Ebenezer RC the Limey and RC the Hun may be purchased at discounted prices. Selecting an option will add its price to the total for the kit. 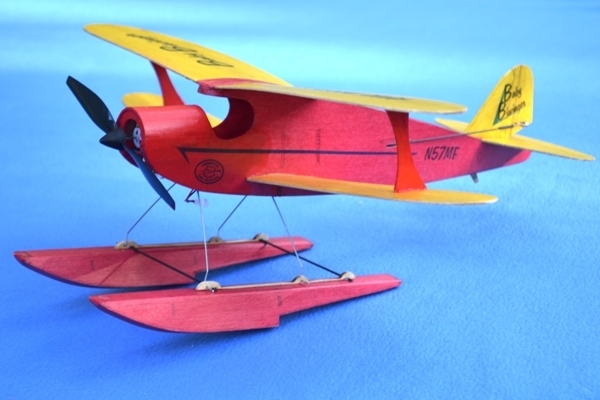 This tiny 13 inch span biplane was originally designed in 1952 for free flight and published in Air Trails magazine. 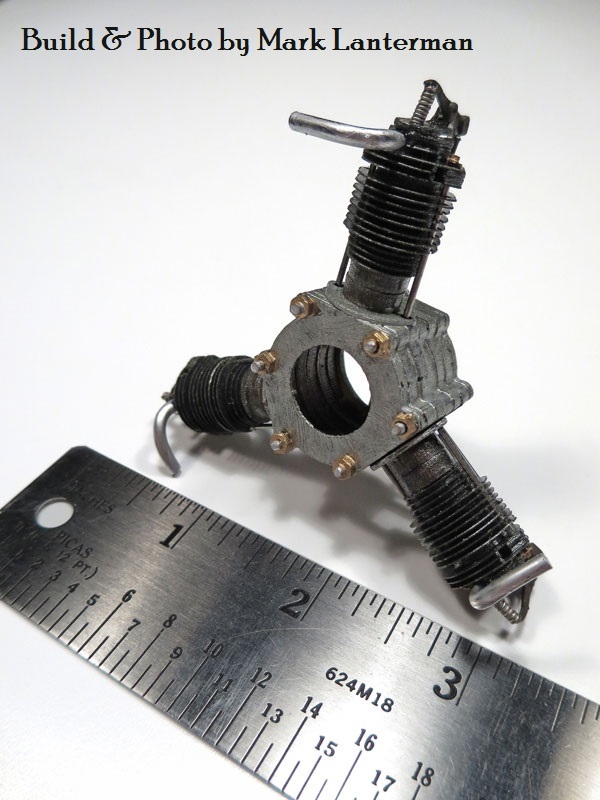 The Retro RC kit has brought the model up to date for micro R/C gear. Like all Retro RC kits, Baby Biwinger is quick to assemble; this is no "short kit", everything you expect in a quality kit is included. Baby Biwinger may be finished with a variety of techniques: tissue, Litespan, lightweight iron-on plastic film or simply seal the wood with a light coat of acrylic spray and colour with marker pens. Take a look at the build instructions (scanned PDF 800kb) before you decide to purchase. The floats shown in one of the photos are available separately. 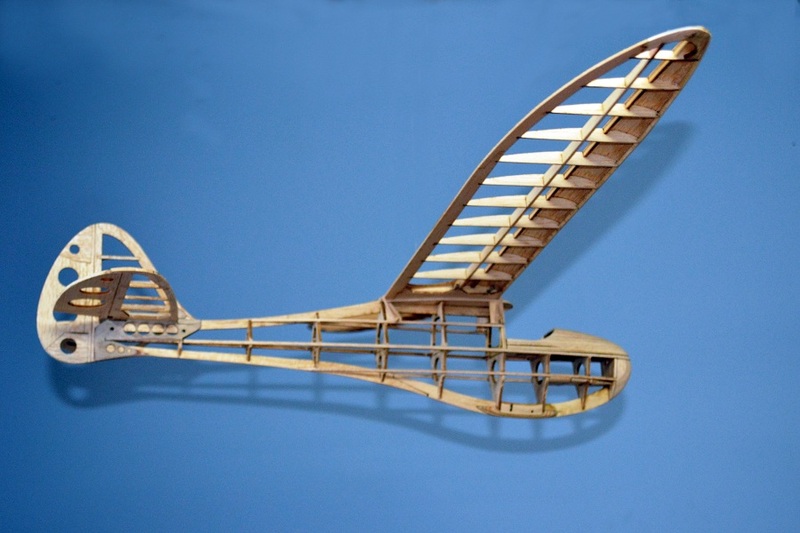 Wing Area: 64.5 sq in. A number of options for Retro RC Baby Biwinger may be purchased at discounted prices. Selecting an option will add its price to the total for the kit. This little beauty is a purely fictional racer designed in the style of the golden years of aviation. camp e'Racer is stable enough for a beginner and with full control throws and firewalled throttle, you will be amazed at the tricks she can do. camp e'Racer is quick to build and even easier to paint (as it's already done for you). Available in 7 colour schemes plus a white covering with outlines for you to colour yourself. 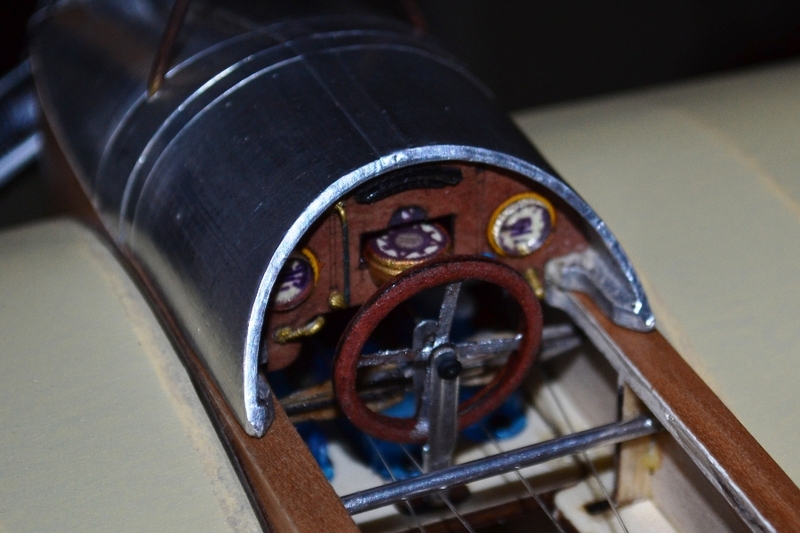 Everything is provided in the kit, except the radio motor/gearbox, prop, battery and glue. Wing Area: 42 sq in. 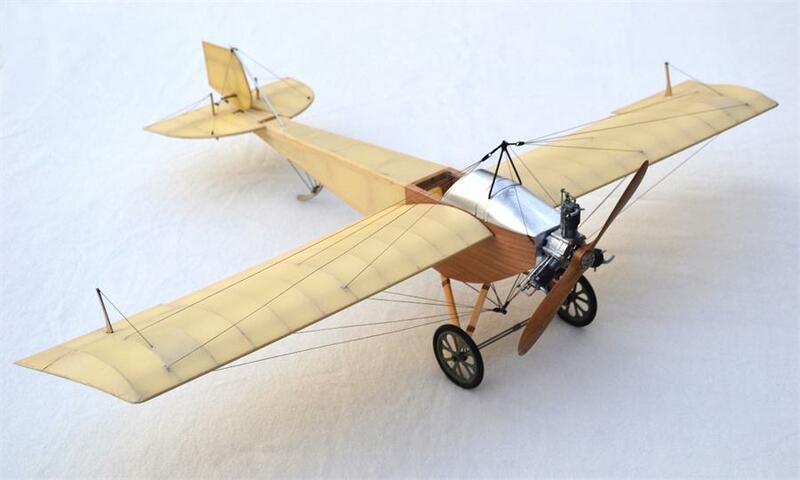 A number of options for Retro RC camp e'Racer may be purchased at discounted prices. Selecting an option will add its price to the total for the kit. 8" and 93⁄8" long micro floats. Designed for the Baby Biwinger (8") and camp e'Racer (93⁄8") but will fit many other micro aircraft. 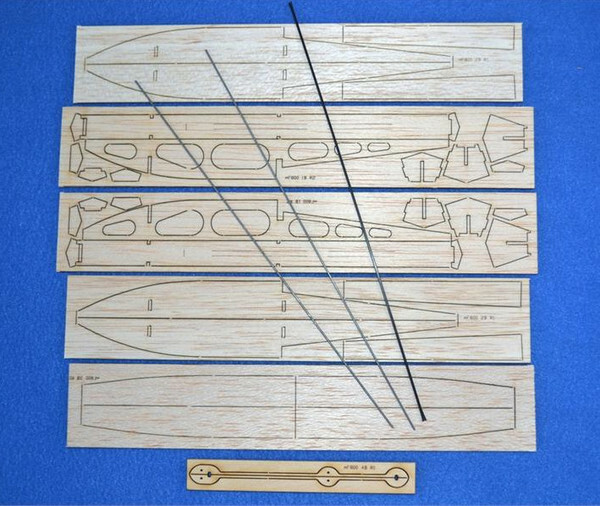 The kit comprises CNC cut balsa and plywood parts plus 1⁄32" (0.8mm) stainless steel wire for mounting. An original design 36" span glider with fully built up diamond section fuselage, loosely based on the 1940's Berkeley Sinbad the Sailor. The kit contains 147 precision laser cut parts, and all necessary hardware. SinBad can be built either with two channel R/C, or can be built for free-flight; the kit includes parts for auto-rudder for straight towing & a circling glide - with "Olive" the pilot to steer her. An optional e'Pod kit is available seperately. 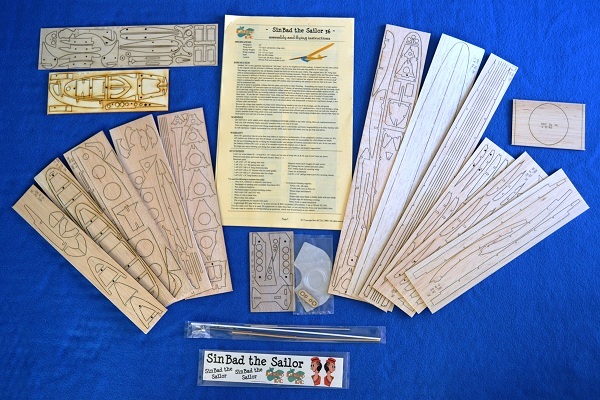 A number of options for Retro RC Sinbad the Sailor 36 may be purchased at discounted prices. Selecting an option will add its price to the total for the kit. A neat little power pod, which is used to house a 12mm motor. Installs in less than a minute, simply seperate the wing halves, slide onto the wing joiner wires and reconnect the wings, no need for a new wing. All plywood construction, exterior surface is covered in the material you used cover the model. 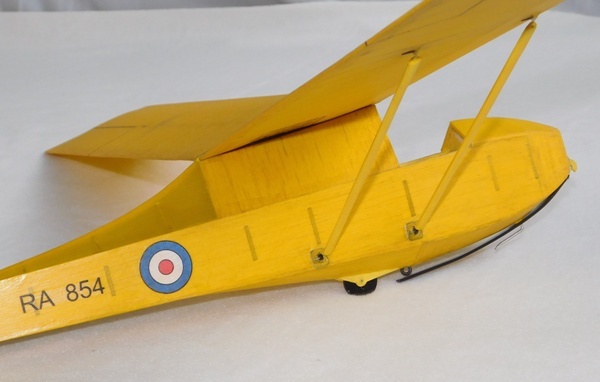 A 36" scale model of the Slingsby T.7 Kirkby Cadet, an aeroplane that has given many ATC youngsters their first taste of flight. The kit can be built either for Free Flight or two channel RC (parts are included for auto-rudder for straight towing, a DT mechanism and two control horns for R/C, and fishing line which can be used for DT & auto-rudder, no servo mount is provided as there are so many micro servos to choose from). A profile pilot is also included. 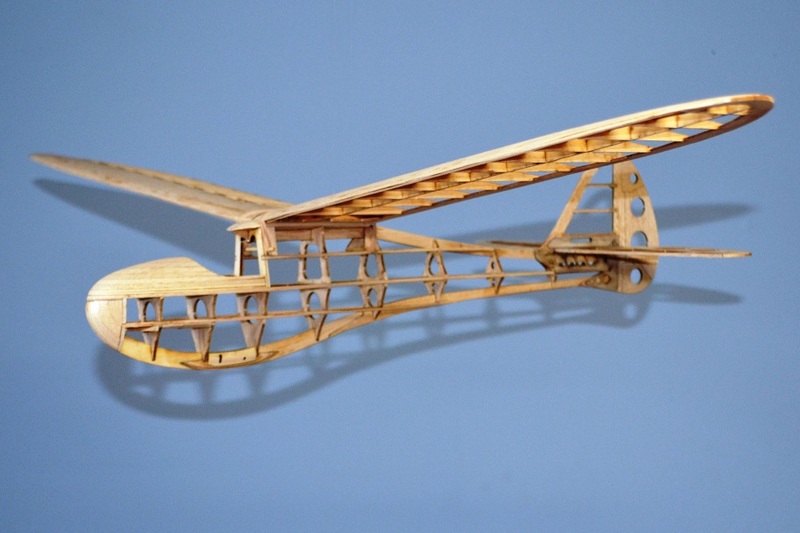 This is an original design with box fuselage, scale rib spacing and scale tail surfaces. It is based on the Cadet which hangs in the Yorkshire Air Museum at Elvington. The kit is intended for builders with some experience, so the instructions although comprehensive are not as detailed as a beginner would expect. The instructions contain many colour photographs to help you with the build. 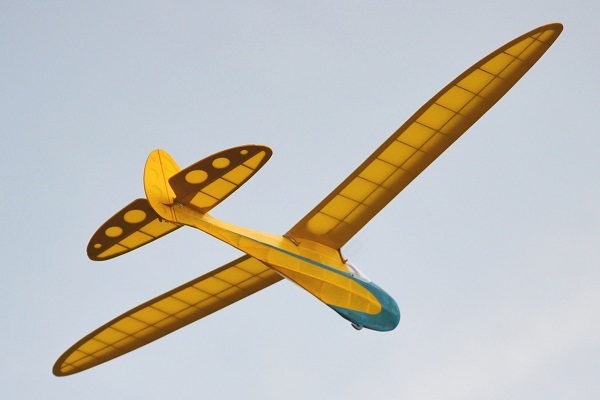 In addition, you will need a Hi-Start to launch your glider - e.g. 15m of 1.5mm rubber strip and 30m of #30 Dacron kit cord. 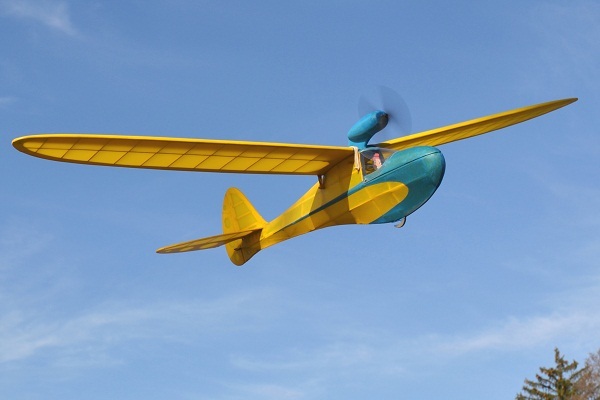 A number of options for Retro RC 1937 Slingsby T.7 Kirkby Cadet may be purchased at discounted prices. Selecting an option will add its price to the total for the kit. 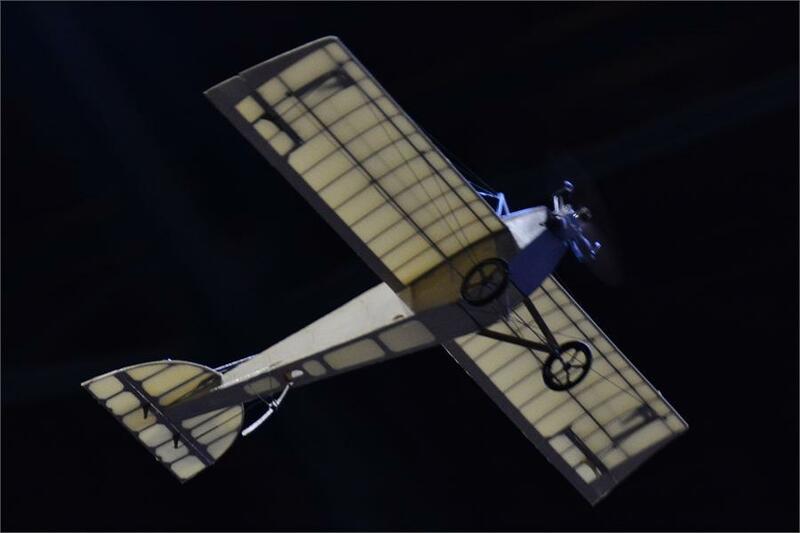 A 1:12 scale model of the 1913 Eastbourne Monoplane for R/C or FF with electric or CO2 power. 28 1/4" wing span, 6 - 7 oz with full 4 channel control system, uses 3 off 3g servos, 6A ESC & 10g outrunner. 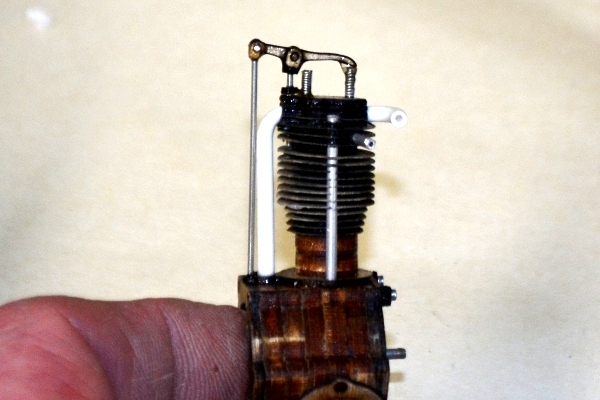 The dummy Anzani engine kit is sold seperately. 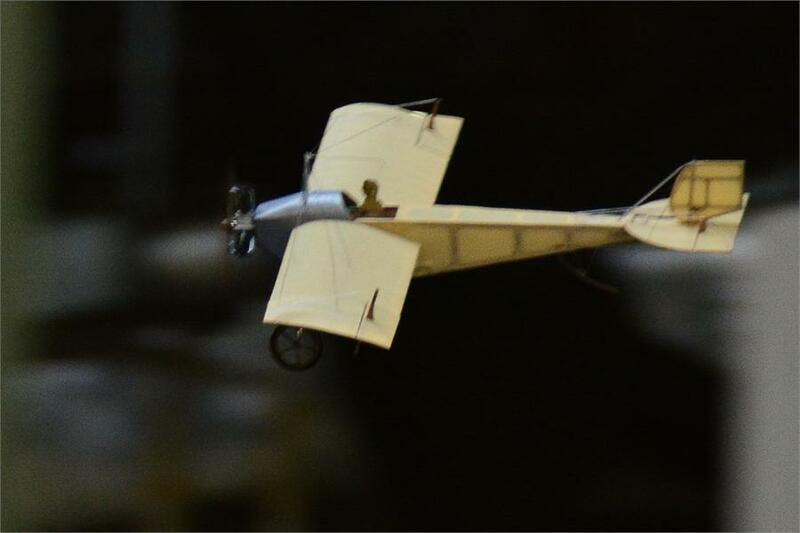 A model built from a pre-production kit by Mark Lanterman took first place in scale at the USA e'Fest 2014. 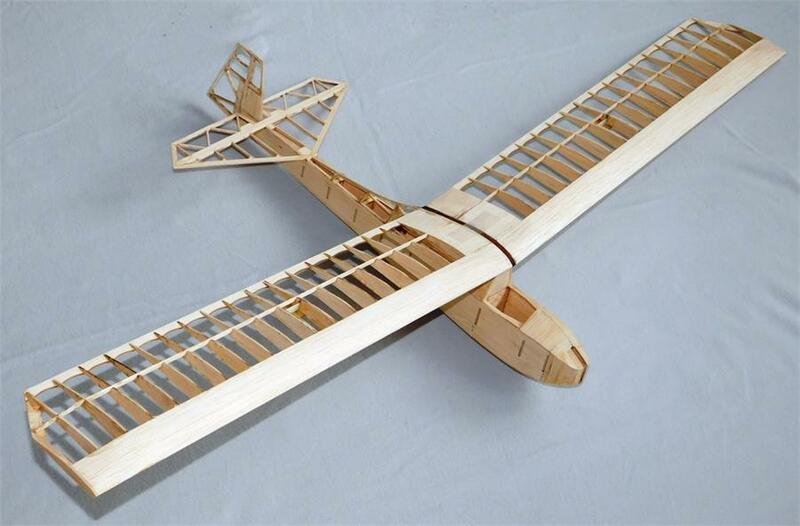 This is an advanced model, a little tricky to fly as it has NO DIHEDERAL, just like the original!. Read a review of the Eastbourne kit by Terry Dunn (published in the May 2015 issue of Model Aviation). 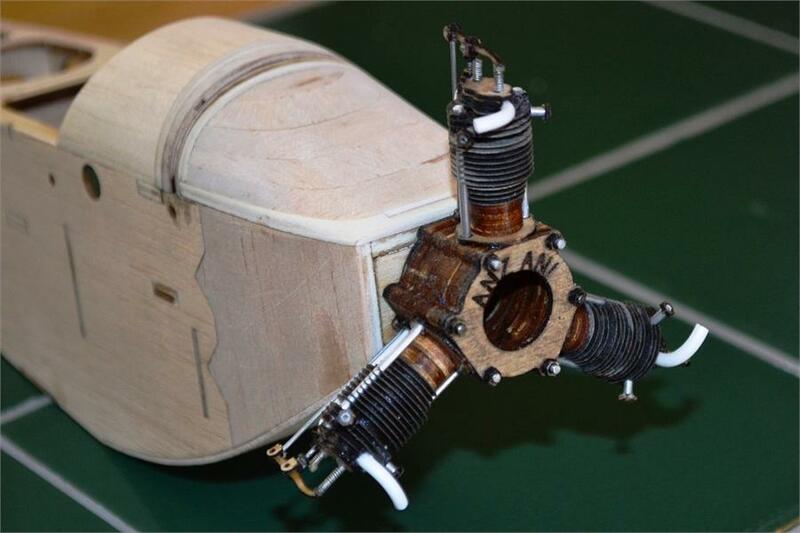 A 1:12 scale dummy Anzani engine for scale models, or just to spiff up any 1:12 scale job. 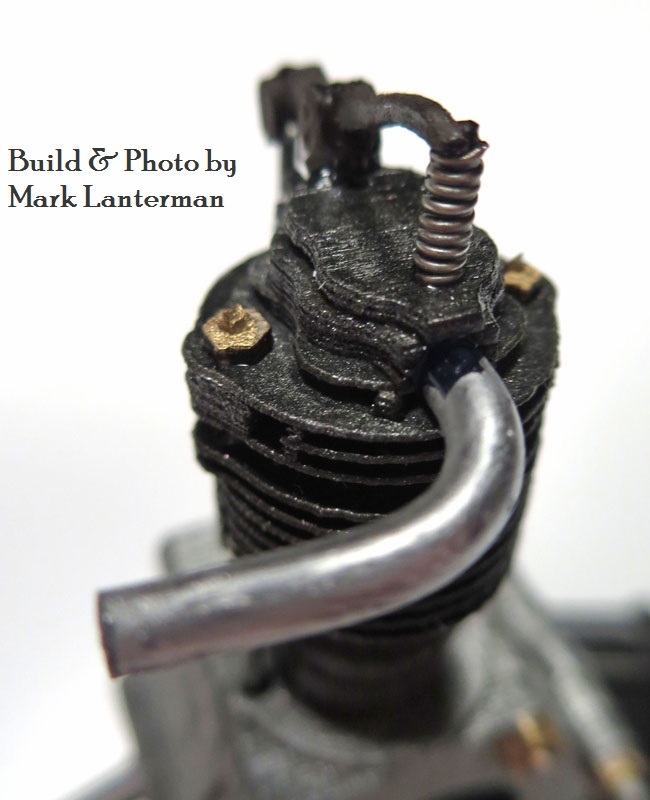 All material except glue & paint provided in the kit which includes laser cut wood & card stock parts, plywood hex-nuts, rocker arms, materials for pushrods, spark plugs, valve springs, intake and exhaust stacks; plus an elegant display stand. A 10g outrunner motor fits inside the crank case. A prop saver style adapter for 3mm shafts, supplied with one O-ring. A pack of 10 spare O-rings is available. A high performance brushless outrunner motor designed to provide the ultimate in power for ultra-light 3D models or small electric sport or scale models weighing 170-225gm or models requiring up to 55 watts of power. Designed to provide reliable and clean power for parkflyers. This brushless outrunner will provide more power and with its high efficiency, long run times. 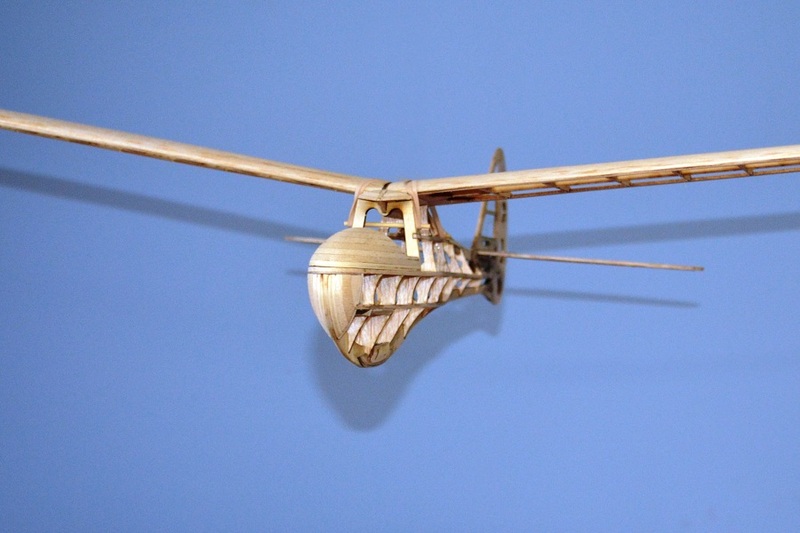 A quality motor, built specifically for planes designed to fly on 55 watts. A 370mAh 25C 2S (7.4V) LiPo battery with JST-RCY power and JST-XH balance connectors. A lightweight linear 5V 1A voltage regulator that enables you to power a small receiver and micro-servos from a 2-cell (7.4V) LiPo battery pack. Available with 100mm bare end input and output leads or with 40mm leads terminated with female JST-RCY (red JST) socket for input and JR/Hitec plug for output. Size: 14 (+leads) x 11 x 4 mm, weight: 1.5g with 100mm bare-end leads and 1.9g with leads/connectors. It is designed primarily for gliders and small I/C models using 2S LiPo packs for their higher capacity and lighter weight. 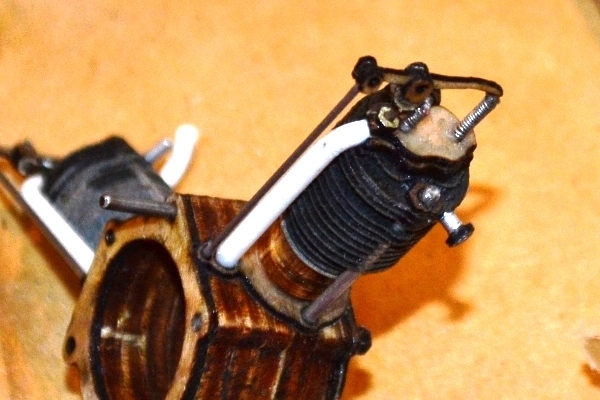 A miniature slide switch with 2 x 100mm lead-out wires and JR/Hitec connectors for use in micro models. The switch is rated at 0.5A with dimensions 19mmL x 5.6mmW x 5mmH and M2 mounting holes on 15mm centres.